Tencarva is a Factory Authorized Service Center for Goulds Pumps serving from locations in Florida, Georgia, Louisiana, Mississippi, North Carolina, South Carolina, Tennessee, Texas and Virginia. 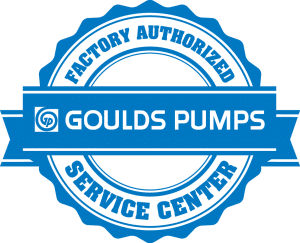 We provide, maintain and repair Goulds Pumps using genuine OEM Goulds Pumps parts for maximum efficiency and reliability. original specifications. No need to source different product specialists depending on the equipment needing repair. One call takes care of your service needs. Tencarva Field Service technicians are experienced with servicing all types of pumps and rotating equipment. Customers utilize Field Services for installation & commissioning, troubleshooting, and field repairs of pumps, pumping systems and other pieces of rotating equipment. Tencarva Certified Technicians are trained in “best practice” installation techniques. They check base levels, equipment fluids, pipe stresses, rotation check, and can diagnose and correct any problems they encounter. The toll free number will connect you with the main switchboard operator who can connect you with any of the service facilities.